A glance at the cold cut display in nearly any grocery reveals a generic mountain of plastic, where most brands are offering and competing on more or less the same proposition. 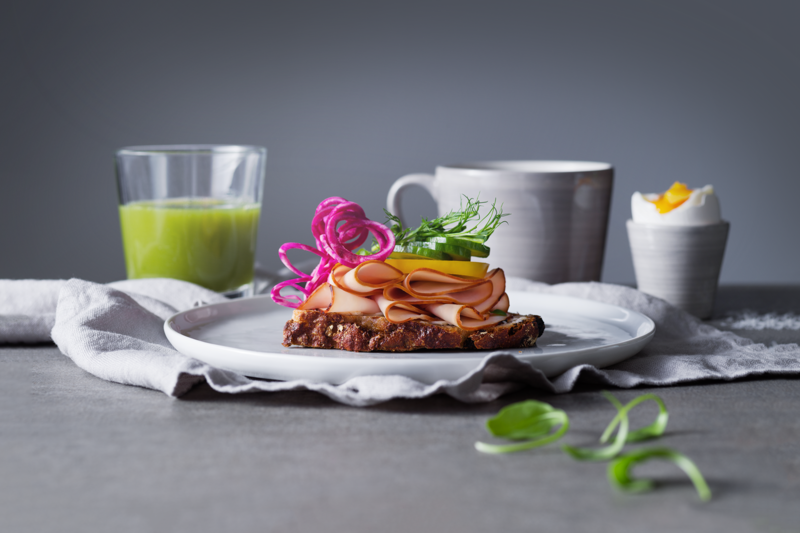 Realising this lack of innovation, Lönneberga contacted Grow with the opportunity of imagining more sustainable solutions to elevate their heritage brand Lönneberga and strengthen the launch of the sub-brand “Bra Start” – a healthier and more sustainable cold cut concept. 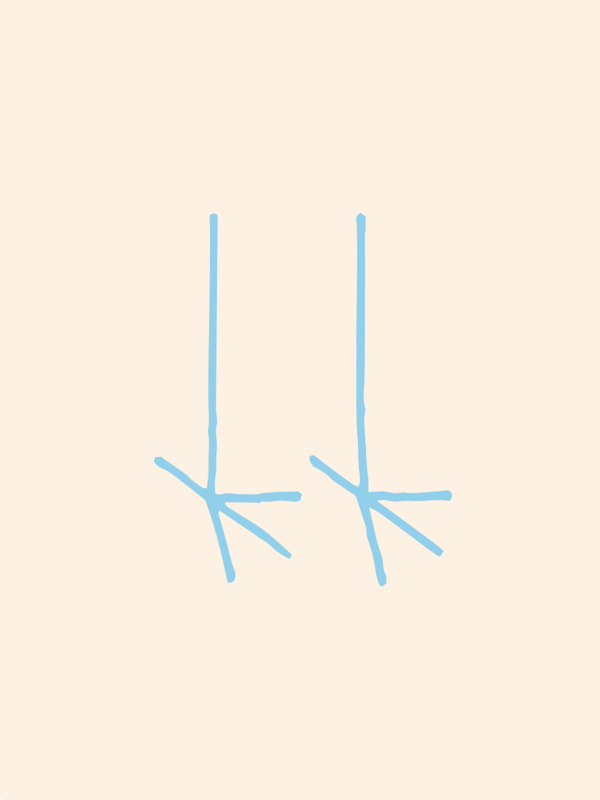 Recognising the challenge of establishing Bra Start’s position with a more modern and aware target group without losing the more loyal and traditional Lönneberga consumers, Grow got to work. 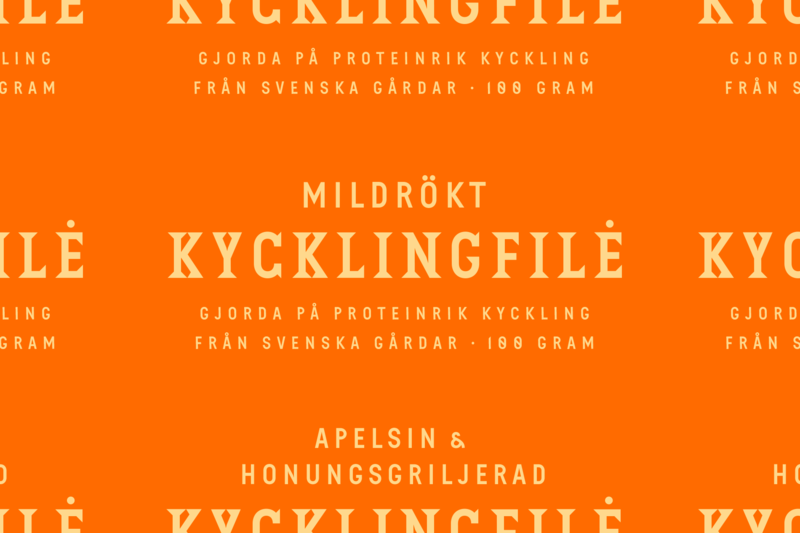 Drawing inspiration from insights and a combination of the brand’s history, aspirations and challenges – a strategy and design direction was developed to support the brand specific needs of both Lönneberga and Bra Start. 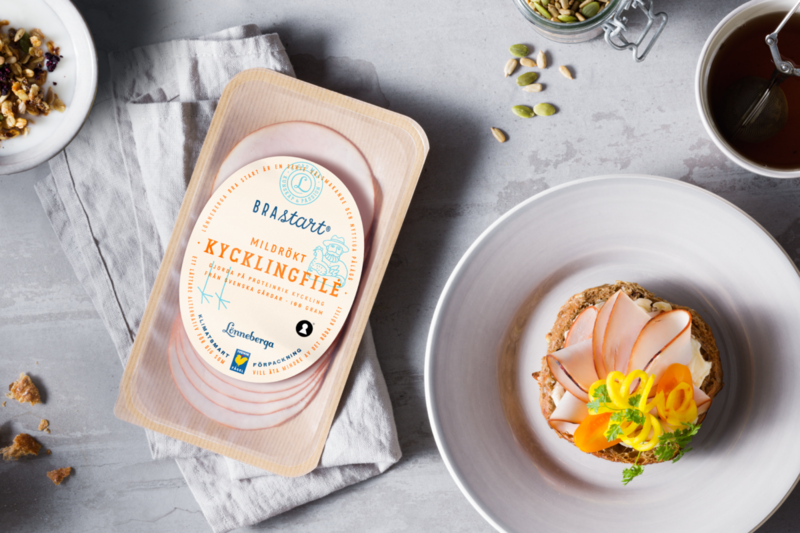 Meanwhile, exploration of different material and packaging solutions together with BillerudKorsnäs resulted in the choice of BillerudKorsnäs’ FibreForm packaging – a 71% bioplastic composite produced with lower greenhouse gas emissions, a guarantee that the beautiful new packaging is kinder to nature as well. 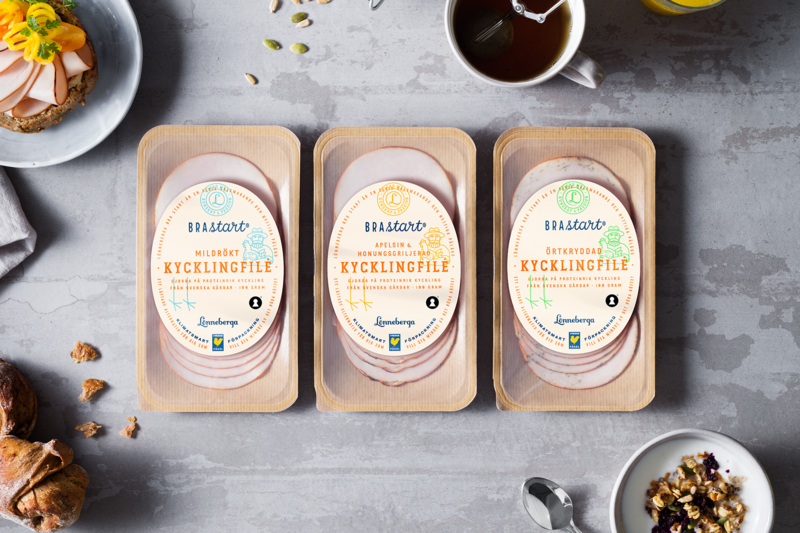 With sleek sustainable packaging design and updated design guidelines, consumers can look forward to the legacy and great taste of Lönneberga and Bra Start for years to come.